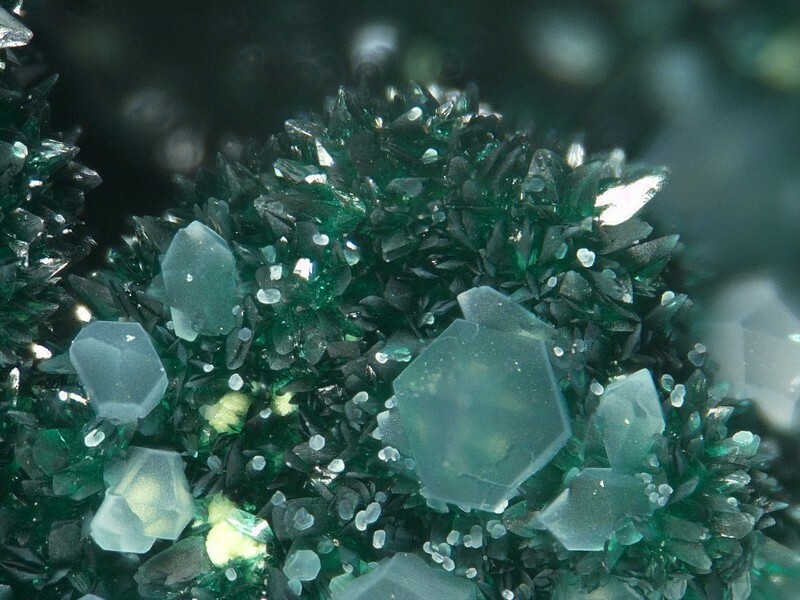 Reichenbachite: Mineral information, data and localities. May be intergrown with pseudomalachite. Quartz 13 photos of Reichenbachite associated with Quartz on mindat.org. Pseudomalachite 11 photos of Reichenbachite associated with Pseudomalachite on mindat.org. 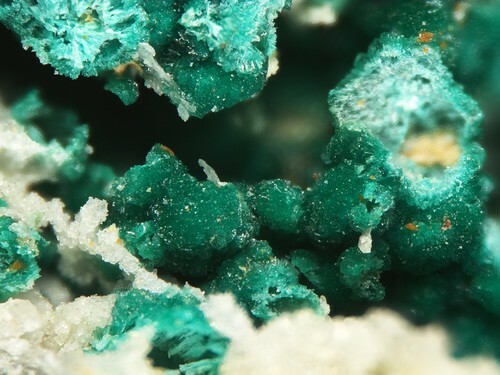 Malachite 6 photos of Reichenbachite associated with Malachite on mindat.org. Kipushite 5 photos of Reichenbachite associated with Kipushite on mindat.org. Pyromorphite 2 photos of Reichenbachite associated with Pyromorphite on mindat.org. Crandallite 2 photos of Reichenbachite associated with Crandallite on mindat.org. Zapatalite 2 photos of Reichenbachite associated with Zapatalite on mindat.org. Limonite 1 photo of Reichenbachite associated with Limonite on mindat.org. Ludjibaite 1 photo of Reichenbachite associated with Ludjibaite on mindat.org. Vauquelinite 1 photo of Reichenbachite associated with Vauquelinite on mindat.org. 19.2.6 Nissonite Cu2Mg2(PO4)2(OH)2 · 5H2O Mon. American Mineralogist (1977): 62: 115-121. Sieber, N.H.W., Tillmanns, E. and Medenbach, O. 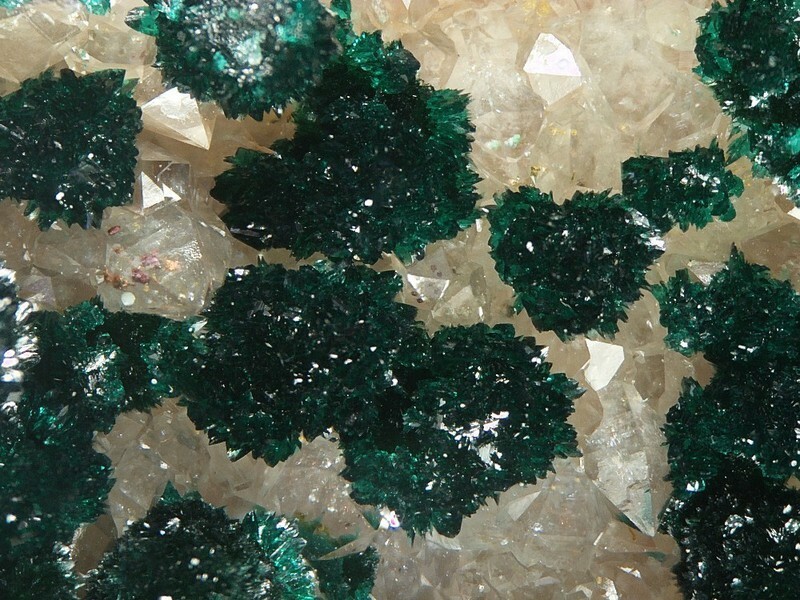 (1987) Hentschelite, CuFe2(PO4)2(OH)2, a new member of the lazulite group, and reichenbachite, Cu5(PO4)2(OH)4, a polymorph of pseudomalachite, two new copper phosphate minerals from Reichenbach, Germany. American Mineralogist 72, 404-408. Neues Jahrbuch für Mineralogie, Monatshefte (1991): 281. Braithwaite, R. S. W. and Ryback, G. (1994): Reichenbachite from Cornwall and Portugal. Mineral. Mag., 58, 449-454. Krivovichev, S.V., Zolotarev, A.A., Popova, V.I. (2016): Hydrogen bonding and structural complexity in the Cu5(PO4)2(OH)4 polymorphs (pseudomalachite, ludjibaite, reichenbachite): combined experimental and theoretical study. Structural Chemistry, 27, 1715-1723. Braithwaite, R. S. W. and Ryback, G. (1994): Reichenbachite from Cornwall and Portugal. Mineralogical Magazine, 58, 449-454. 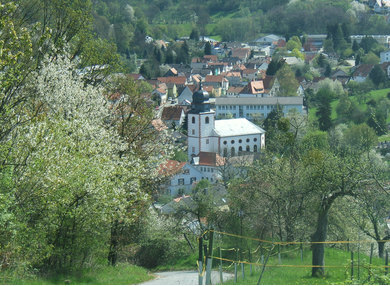 Hyršl, J. (1991): Three polymorphs of Cu5(PO4)2(OH) from Ľubietová, Czechoslovakia. N. Jb. Miner. Mh., 6, 281-287. Števko, M. and Sejkora, J. (2016) Nové nálezy sekundárnych minerálov na lokalite Ľubietová-Podlipa a Poniky-Drienok. Minerál, 24, 6, 524-532 (in Slovak). Braithwaite, R.S.W., and Ryback, G. (1994): Mineralogical Magazine 58, 449-454; Golley, P., and Williams, R. (1995): Cornish Mineral Reference Manual. Endsleigh Publications (Truro), 104 pp.